Riviera paddle boards come from the Riviera Paddlesurf company that was formed in 2007. The Southern Californian company sells SUPs made from a variety of materials including fiberglass, epoxy and EPS foam. In this review, we are going to focus on the top selling Riviera SUP boards. Riviera is predominately a paddle surf company. With the exception of the 12’6″ Voyager, all of their boards come with at least a three fin setup. If you are a first-time paddler, this is a great SUP to begin with. You can cruise with confidence as this board allows you to smoothly and steadily have fun on the water. The built-in handle means this Riviera SUP board is easy to carry and it is also an excellent choice for touring. With pinched rails and a slightly pulled in nose, you can rely on the Riviera 10’6” board to ensure you enjoy great maneuverability in the surf. Additionally, the 2 + 1 setup means you have different options for varying paddling conditions. 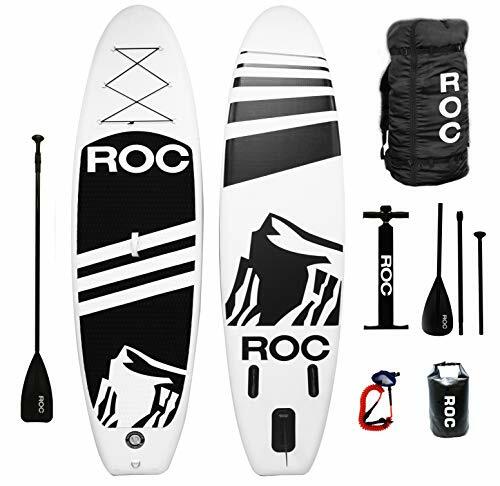 At $900 it is one of the least expensive SUP boards in its class which is another reason why beginners should consider it. This SUP also has an interesting construction as it is made with layers of bamboo on top of different thicknesses of glass and has an EPS foam core. This serves to ensure excellent durability and contributes to the stability one feels while on the board. The Nugget is designed to be a high-performance SUP board that provides users with extra stability. Experts always claim a shorter and narrower SUP equates to a better surfing experience and this precisely what Riviera attempts to do with this board. The Nugget is just 28 inches wide and has a diamond tail and full nose to increase stability. The rails on the Nugget are extremely low so you can bury them without having to worry about bobbing in and out of the water. It can hold riders of up to 215 pounds and comes with a five fin Future Fins setup, which is designed for surfing. One of the great things about the Nugget is its speed down the line in a quad setup – which is ridiculously fast. Despite being eight feet long, it was easy to generate enough speed to get into waves. This SUP board was deliberately designed with a wider nose for easier nose riding and this pays dividends. Though the Nugget is not a board for touring, it is a light, high-performance board and this makes it a great choice for folks looking for a high end surf paddle board. This is yet another agile board from the Riviera SUP range and is suitable for all users. Though the Nugg is 31 inches wide, it’s about as easy to ride as a much narrower board. As it’s relatively short by SUP standards it is easy to transport so it’s a great board for women and younger boarders. It comes with a Tri-fin setup (2 + 1) so you can quickly and easily adjust and adapt to all paddling conditions. Most users who choose the Nugg as their first board end up being delighted with their purchase because of its versatility; it can carry you in light surf on the sea, in slow moving rivers and on bays. Although the Nugg is not a great all-around board, it does provide you with a fun and responsive paddle and is especially great when riding on wakes in the bay and low surf. One downside is that the Nugg is not quite as stable as it could be for first-timers but the upshot is you need to get better in a hurry! The Select Series from Riviera comes in two sizes and is a good choice for both light paddle surfing and touring. With a balance of stability, durability and lightweight construction, the Select Series is designed for first-time users of SUPs and it does a tremendous job of keeping you stable on the water. These boards are made using Riviera’s Select Construction technique which is a combination of bamboo, fiberglass and carbon fiber. A layer of Riviera’s special SYNTEK material is also added and all materials are bonded together via epoxy resin in a pressurized mold. So what does this mean? The end result is a high-performance board that can handle a 210 pound rider and keeps you stable while you increase your skill level. The Select Series is ideal for those who can’t make their mind up on a specific type of SUP board since it offers a little bit of everything. You can use these SUP boards for touring, surfing or fishing. This SUP from Riviera is unique insofar as it is a serious touring board that can still be used by beginners due to its stable nature. It has a veritable cavalcade of features that one would expect from a high-end SUP so it really does offer fantastic value for money. The Voyager Classic offers over a dozen tie-down configurations so you can stow any range of gear if you plan to go touring. The Riviera Voyager is extremely stable thanks to the fact it is 33.5 inches long; it can support paddlers up to 250 pounds in weight. It also has a semi-displacement shaped nose so you can travel quietly through the water. This is excellent news for keen fishermen who are given the chance to silently stalk their prey! 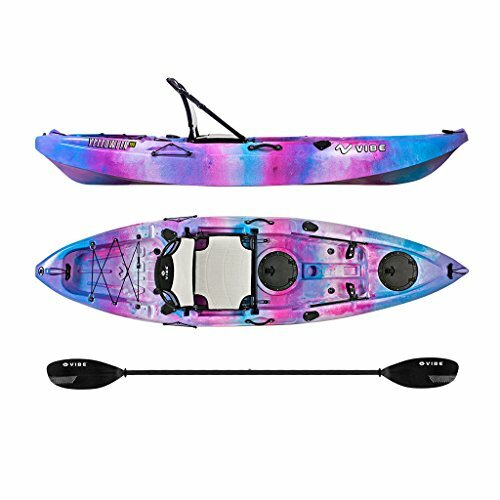 There are three different color schemes to choose from as well so you can hit the water in the style you prefer. If you are a relative newcomer to the SUP game but are planning to log some serious miles, the Voyager is one of the best choices on the market. Most SUPs of this standard are in the $2,000+ price range so the Riviera Voyager is a steal at its price.